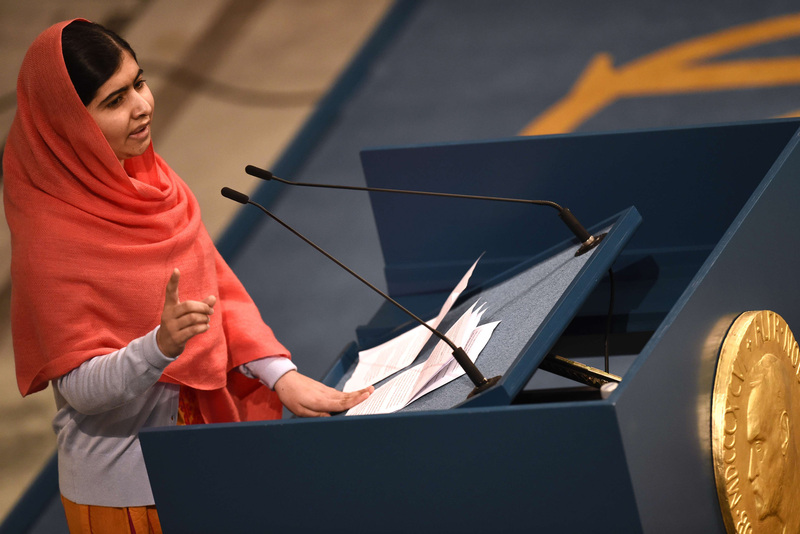 This month’s Inspirational Individual is Malala Yousafzia. If you haven’t heard yet, last week ten people were sentenced to life in prison for their roles in the 2012 attack on Malala. And in other news, by some crazy coincidence, last week I also finished reading Malala’s book, “I Am Malala”. Honestly, it took me a while to get through this book. Not because I didn’t like it, but more because I dedicated most of my time this winter to watching Netflix instead of reading and being a real person. Over time I picked away at the book and learned something new each time I picked it up. 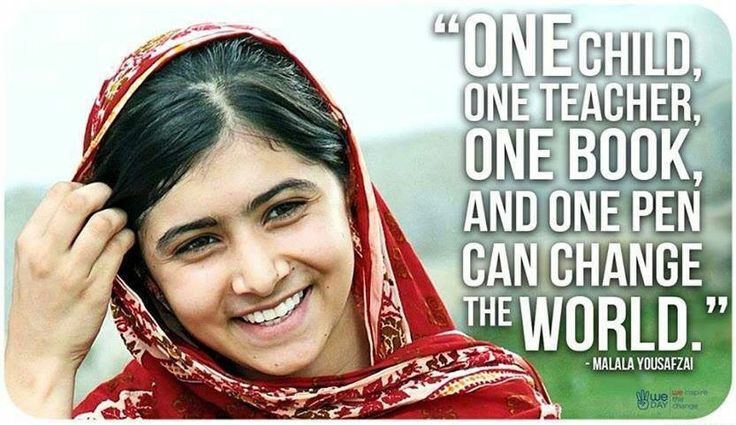 For those of you unfamiliar with Malala’s story, get your head out from under that rock. No, just kidding. I’ll give you a little background. Malala is from Pakistan’s Swat Valley, which she describes as a “land where rifles are fired in celebration of a son, while daughters are hidden away behind a curtain, their role in life simply to prepare food and give birth to children”. But Malala’s father was different than most and raised her just like he raised his son. He strongly encouraged his daughter to go to school, study hard, and plan for the future. 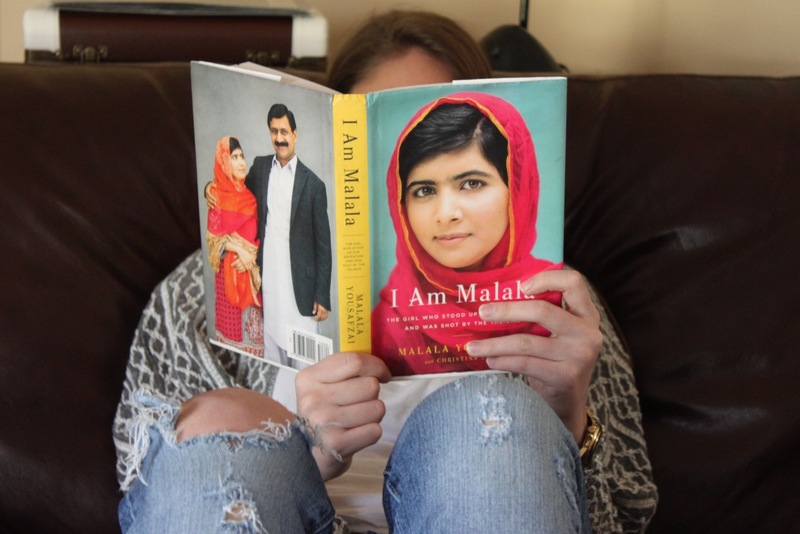 As you can imagine, many girls in Swat weren’t given the same opportunities as Malala. Many dropped out of school because they couldn’t afford it, their parents’ beliefs, or they were forced to get married. Things became worse for the girls in Swat when Talibanization spread through the valley and girls were told they should be forbidden at schools. The Taliban began bombing schools, killing teachers, and threatening students. Although many girls became afraid to go to school, Malala never let fear get in the way of her education. She continued to go to a secret school with her books hidden under her shawl. She began giving speeches, radio interviews, and writing a blog for BBC about her experiences in Pakistan and the importance of accessible education for everyone. The Taliban later targeted and shot her for speaking out against them. Her book gives you a firsthand experience of how war and radicalized religion can sweep through and destroy a region. Malala also gives you a look at the culture of Pakistan. She has great pride in her country and openly shows you the good, bad, and everything in between. One thing that really struck me was how ‘normal’ she seemed. She reads “Twilight”, likes to sleep late, has fights with her younger brother, and gets stressed over exams. She also won the Nobel Peace Prize in 2014, but besides that, fairly normal. There are also times throughout the book when it’s hard to believe she is just a teenager. Her book is so clearly articulated and promotes profound wisdom. It is hard to believe she is only 16 when she drops incredible knowledge such as: “I’ve always been a daydreamer, and sometimes in lessons my mind would drift and I’d imagine that on the way home a terrorist might jump out and shoot me on those steps. I wondered what I would do. Maybe I’d take off my shoes and hit him, but then I’d think if I did that there would be no difference between me and a terrorist. It would be better to plead, ‘OK, shoot me, but first listen to me. What you are doing is wrong. I’m not against you personally, I just want every girl to go to school.’“. Her book is filled with inspiring tidbits like this. There are so many lessons embedded in this book. Malala’s exuberantly positive outlook on life and sincere mission to promote accessible education are incredibly inspiring. I look forward to seeing what the future holds for this incredible young woman. Categories: Uncategorized | Tags: Book Review, Books, Current Events, Education, Global, Inspiration, Inspiring Individuals, Life, Lifestyle, Malala, Malala Yousafzai, Motivation, News, Noble Peace Price, Pakistan, Women's Rights | Permalink.